50% off! Booth: L25/26 219 Parents want this! Unlimited access to Theme Park for 12 months with restricted date*. Child age 3-11 years old. 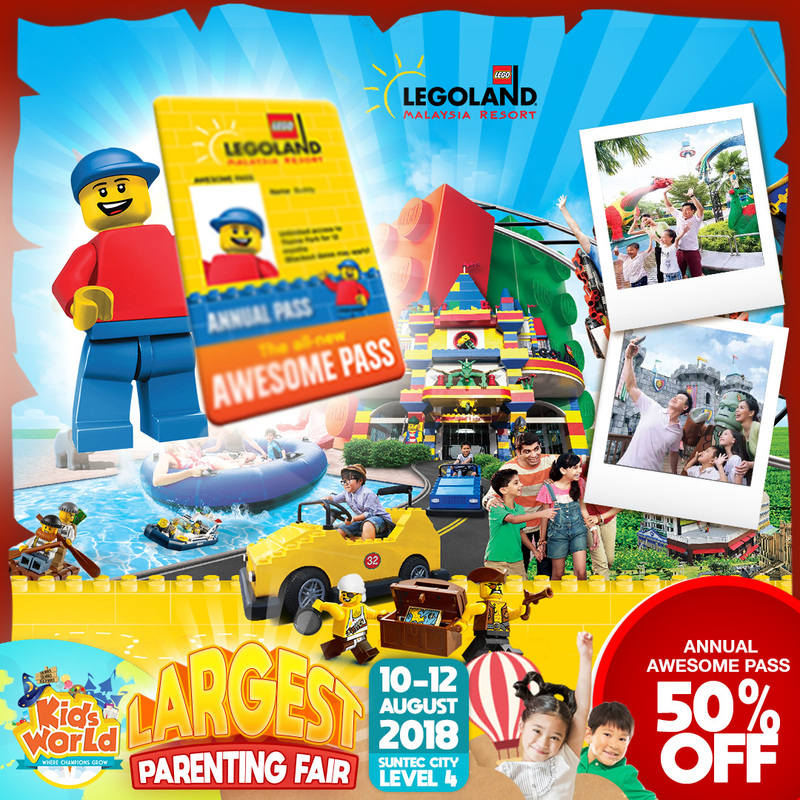 Print your online ticket and redeem into Annual Pass ID card within a 6 months period from the date of purchase at LEGOLAND® Malaysia Resort’s ticketing window. Annual Pass is valid for 12 months from the first day of redemption. Offer cannot be combined with pre-purchased tickets, any other promotions and group’s offer. LEGOLAND Malaysia reserves the right to refuse, alter, amend, delete or add to the stated terms and conditions or withdraw this promotion at any time without prior notice. All price below are inclusive of 0% GST.